Solid hardwood floors are the most common type of hardwood flooring that people choose to put in their house. Here are few facts to consider when purchasing solid hardwood flooring. -- Solid hardwood flooring, in most cases, comes with a thickness of 3/4 inch, and varies in width anywhere from 2 - 1/4 inch up to 5 inch. Also comes in different, random lengths. -- Solid hardwood floors are solid piece of wood, made with tongue and groove. Solid hardwood floors come pre-finished (already stained and varnished), or un-finished (need to be refinished and stained after installation). -- Solid hardwood floors are available to refinish, and on average only twice. This adds up to the already long life span that solid hardwood floors comes with naturally. -- The only installation method that is used for solid hardwood flooring is the nail-down installation method. -- Solid hardwood floors shrink during the winter times when humidity is low, which opens up small gaps between them, if humidity not kept properly, and expand back during the summer days when humidity is higher, which causes all the gaps to disappear. Because of the reason above, hardwood floors need to be acclimatized at least 48 hours before installation. 1. select grade - average size length of planks, and some knots. 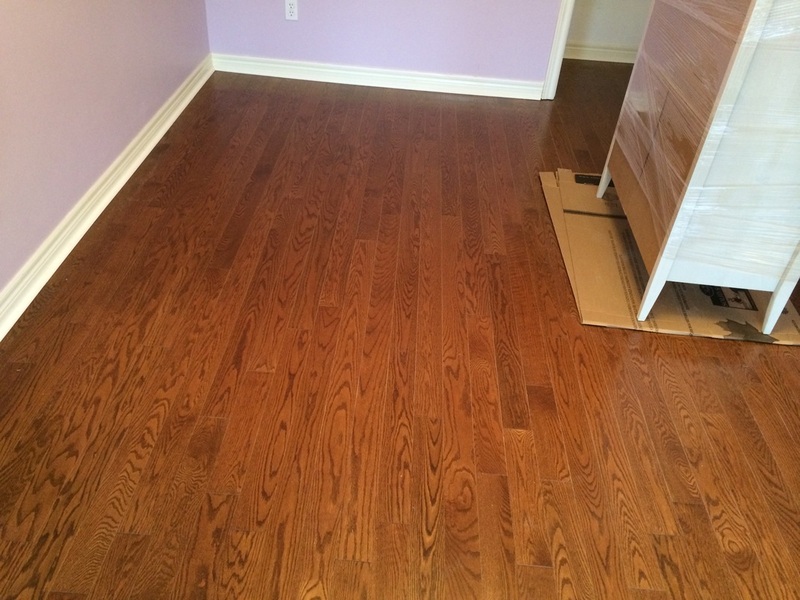 2. select and better grade (Our favourite) - most boards long, and clean looking hardwood floors.